Take three stale Manchets grated and sifted, then put to them half an Ounce of Cinnamon, as much Ginger, half an Ounce of Licoras and Aniseeds together, beat all these and searce them, and put them in with half a Pound of fine Sugar, boil all these together with a quart of Claret, stirring them continually till it come to a stiff Paste, then when it is almost cold, mould it on a Table with some searced Spice and Sugar, then bake it in what shape you please. Not quite the gingerbread we’re use to now eh? Most of the recipes I found involved grated manchets – essentially breadcrumbs – rather than flour. 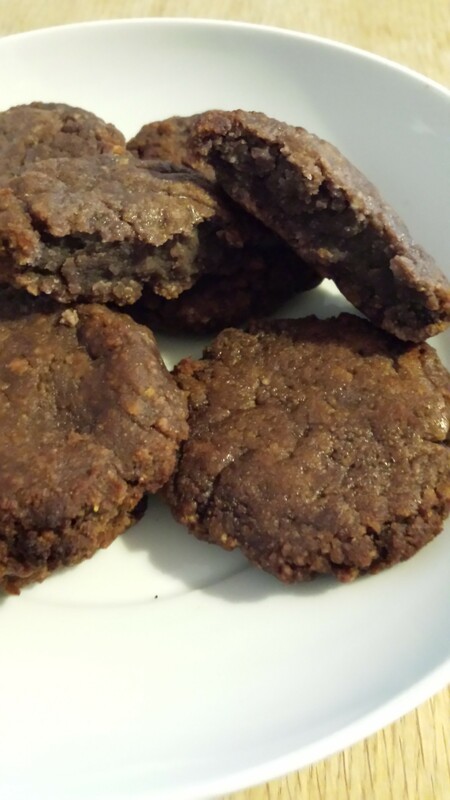 Some used ground almonds but were titled “Almond gingerbread” indicating this is a variant rather than the norm. So, the first step was to find out what a manchet is, and the second step was to make one. A manchet, it turns out, is a kind of enriched bread – not entirely unlike brioche, although the texture is not really the same. The absolute best place to learn about historical bread is the wonderful blog History of Bread, and this is where I found a recipe for manchet. I made the manchet according to the “Lady of Arundel’s manchet” recipe as interpreted by History of Bread – I sneaked a taste and then had to resist eating half of it while it was still hot and delicious. It tastes like a hybrid of bread and a cake, the crust was particularly good. I scooped out the inner bread and discarded the crust (well, the bits I didn’t eat). However, my freshly made manchet wasn’t yet suitable for the recipe, so I left it in a bowl covered with a tea towel for a day or so to stale it up a bit. 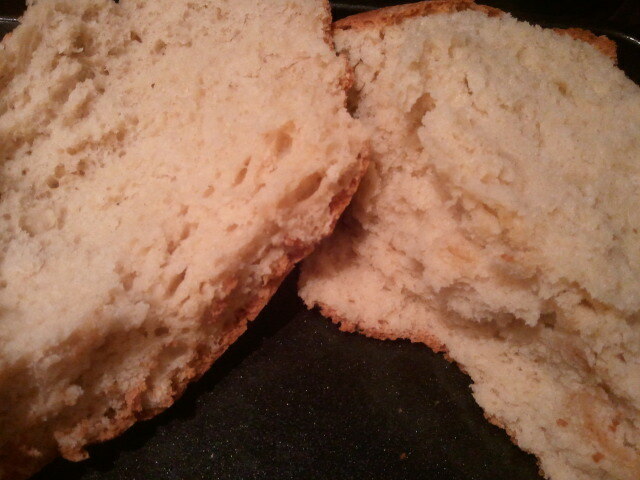 One the manchet was stale I crumbled the bread in a food processor. I know, not a very early modern method, but I was not in the mood for lengthy grating and sieving. Besides, I can tell you with confidence having lived without a food processor for many years and still wanted to eat meatballs that the end result is identical. The last time I resisted the food processor to stay true to original methods I ended up spending literally hours bashing a bag of almonds, and that put me off somewhat! As for quantities, I scaled the other ingredients down by half, which seemed about right when I put them with the manchet-crumbs. Crumbs created, I moved onto the other ingredients. I did try, but was unable to get hold of liquorice and aniseed so I had to improvise somewhat – I happened to have some liquorice extract in the cupboard and some star anise. 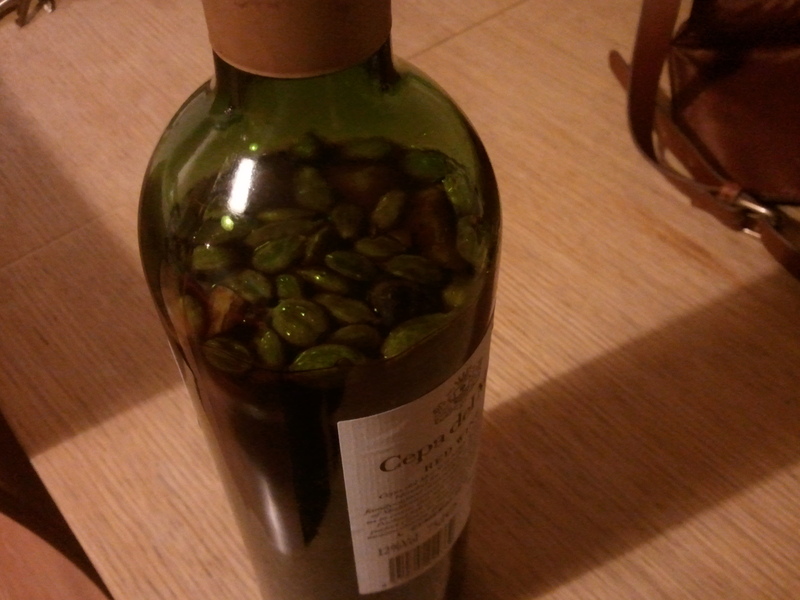 I brought the wine slowly to the boil with the star anise so try and get a little bit of aniseed flavour. Once it was boiling gently I removed the anise, added the ginger and cinnamon, then a few drops of liquorice flavour (I did put too much of this in and it tasted more like licorice bread than ginger bread, so be careful if you do this). I added the sugar and stirred until it had dissolved, and then put in the crumbs. The mixture came together quickly, making a sticky, gluey kind of dough. I took it off the heat and left it to cool, once it was cool enough to handle I shaped it into rounds and put it on a baking tray. I then baked it for about half an hour on a medium heat (about 180c). When I removed the gingerbread it was still quite soft in the middle so I put it back for another 15 minutes. It still hadn’t firmed up in the middle, so I decided it was probably meant to be like that. This was a particularly enlightening food experiment for me for a number of reasons. I had not expected to find wine and bread/cake crumbs in the recipe, although it’s not unheard of to put breadcrumbs or relatively large volumes of alcohol into baked goods today, it’s still fairly unusual. I had always thought that Early Modern gingerbread would be the biscuit kind rather than the cakey kind – in fact I even said this when I wrote the first post! This assumption was based on the knowledge that it was often formed into shapes. 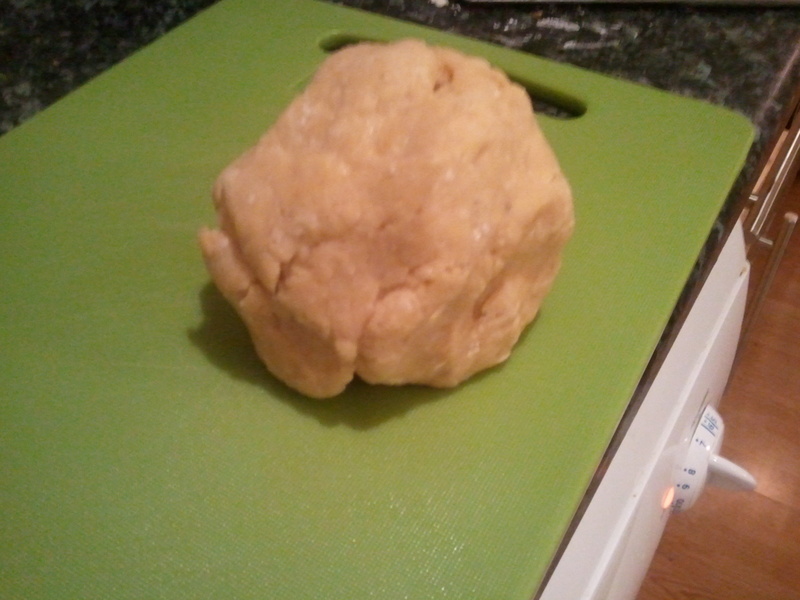 As it turns out, the weird glue-dough that comes from mixing wine and breadcrumbs is much better for shaping than biscuit dough, you could quite easily make a 3D model. It’s similar in consistency to marchpane, another substance used for modelling food. The dark colour comes from the claret. Taste-wise, this gingerbread is a bit like eating mulled wine cookie dough. It is reminiscent of modern cake gingerbread but sadly not as nice. It’s an interesting taste, probably not one I’d make again. It got a definite thumbs down from my husband too! Onward and upward though, what shall I try next? Want to try it yourself? Here’s a recipe. Bring the wine to the boil. Add the sugar and stir until dissolves. Add the manchet crumbs with the spices. Stir until a paste comes together, then leave to cool while you preheat the oven to 180. When the mixture is cool, mould with your hands into whatever shape you would like, then place on a greased tray and bake for 45 minutes. Cool slightly, then eat (they are much better warm). 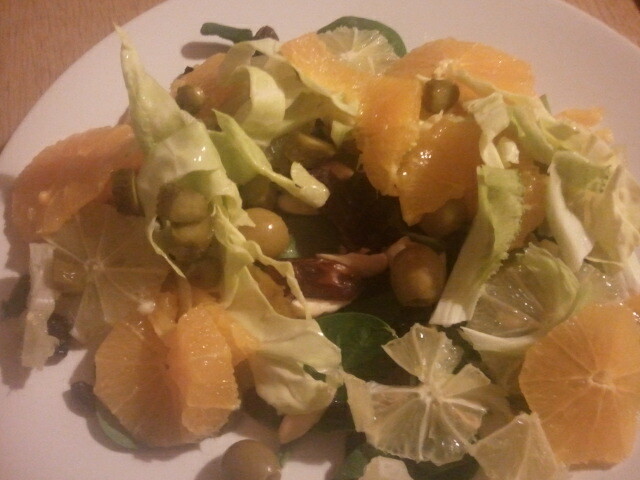 Please forgive the sizeable gap between the first post on salads and this one, it’s been a busy January. Anyway, I have finally made an early modern salad, and as you can see from the picture above, it’s a rather magnificent looking thing. Here’s another photo of it pulled apart a bit. To compound an excellent Sallat, and which indeed is vsuall at great feasts, and vppon Princes tables: Take a good quantity of blancht Almonds, and with your shredding Knife cut them grossely; then take as many Raisins of the Sunne cleane washt, and the stones pickt out, as many Figs thred like the Almonds, as many Capers, twice so many Olyues, and as many Currants as of all the rest cleane washt: a good handfull of the small tender leaues of Red Sage and Spinage: mixe all these well together with good store of Sugar, and lay them in the bottome of a great dish; then put vnto them Vinegar and Oyle, and scrape more Sugar ouer all: then take Orenges and Lemons, and paring away the outward piles, cut them into thinne slices, then with those slices couer the Sallet all ouer; which done, take the fine thinne leafe of the red Coleflower, and with them couer the Orenges and Lemons all ouer; then ouer chose red leaues lay another course of old Olyues, and the slices of wel pickled Cucumbers, together with the very inward heart of your Cabbage lefee cut into slces; then adone the sides of the dish, and the top of the Sallet with mo slices of Lemons and Orenges, and so serue it vp. It seems odd to provide a recipe since it’s so straightforward and there’s no cooking involved so I won’t, but see the bottom of the post for a loose ingredients list. First, I’ll just go through some of the ingredients. Some are obvious – olives, capers (delicious! ), currants and the like – but others a little less so. I couldn’t locate either red “coleflower” aka cauliflower or red sage, so I had to make do with their white/green alternatives. I used the outer leaves of the cauliflower rather than the florets, as instructed. This seemed a bit odd at first, but I suppose that raw cabbage is found in coleslaw, so it’s not too unusual. Pickled cucumbers are of course gherkins – another favourite of mine. The sliced lemons were a very unusual addition, I am not really used to actually eating lemons, just flavouring things with their juice. When combined with some of the sweeter flavours like the currants or indeed oranges, however, it lost it’s sharp edge and was a lot more palatable then I expected. When I first read the recipe I thought this recipe sounded pretty unpleasant and rather odd. 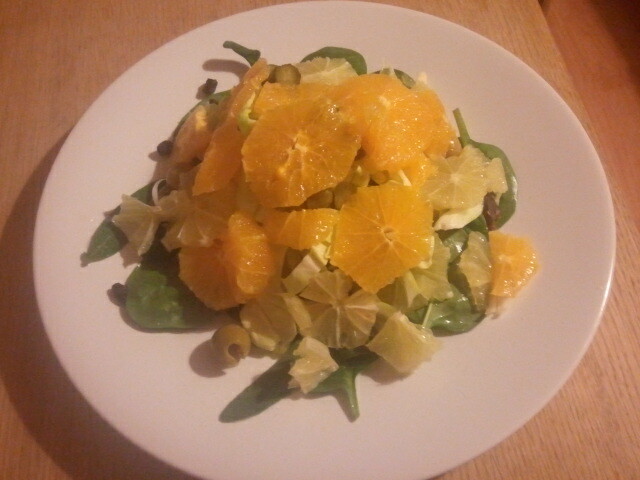 Once I actually made it, however, I found it had a lot more in common with modern salads than I expected. The oil and vinegar dressing for one thing, is something we still use today. The combination of sweet, pickled and savoury was unexpectedly good, and it certainly lived up to it’s name of a “compound salad”. Arrange in layers as described above, mix together, or construct in any other way you see fit. Go on, try something new (well, old I suppose) and brighten up your January! And so, the thrilling conclusion to my special Christmas post on mince pies! I used a recipe from Robert May’s The Accomplisht Cook (1660), as I pointed out in the last post, there were a number of different recipes involving different ingredients, but I went for one using beef, as well as the well known dried fruits and spices that we find in our mince pies today. To make minced Pies of Beef. TAke of the buttock of beef, cleanse it from the skins, and cut it into small pieces, then take half as much more beef-suet as the beef, mince them together very small, and season them with pepper, cloves, mace, nut|meg, and salt, then have half as much fruit as meat, three pound of raisins, four pound of currans, two pound of prunes, &c. or plain without fruit, but onely seasoned with the same spices. The mince pie did in fact taste very sweet, to be honest I couldn’t really detect much of a savoury note at all even though there was no sugar in it. I think this is probably at least in part a result of not cooking the meat first and sealing in all the juices and flavours. It should not be surprising though to find that minced pies were sweet – in the short playlet from the last post, we saw Roast Beef teasing Mince Pie for his sweetness, calling him “Mr Sweet tooth”, amongst other things. My own personal taste test did indeed bear out that the mince pie was certainly a sweet treat, despite it’s meaty filling. I am reluctant to post an adapted recipe for two reasons. The first being that I only made a single serving pie, and I am not sure how much call for that there really is. Secondly, it was very easy, and the original recipe is fairly straightforward and easily adaptable to your circumstances. As a rough guide, my individual pie was based around about 2 generously heaped tablespoons of finely diced beef. This doesn’t need to be exact – for the ratio of raisins, currents and prunes you don’t need to be too worried about measurements, just make sure you’ve got about half as much to the meat, and that you have more raisins than currents, and more currents that prunes. You should be able to guess how much pastry you’ll need (I did, but such is my way) – you could make a simple shortcrust from butter, flour and water, or you could even buy a ready rolled pack. If you would like an authentic early modern pastry recipe, look here. I know this isn’t very scientific, but I am sure that all of you other intrepid food explorers can work it out. Have fun with your early modern cookery, experiment! And on that note, I shall wish you all a Merry Christmas and a Happy New Year! I have actually made two early modern beef recipes today, but you’ll have to wait to see what the second one is. Here’s a clue: it’s appropriate for the time of year. The background and recipe posts for that will be appearing very soon, but for now, here is the conclusion to my recent post on beef. The recipe book I used for this recipe was Robert May’s The Accomplist Cook (1660) . It contains a section entitled “A hundred and twelve ways for the dressing of beef”. A hundred and twelve! I really had the pick of the bunch there! As the beef I was planning on using was a some ready diced rump steak I was already using for dinner and for the aforementioned mysterious other recipe, I couldn’t really do one of the roast recipes, and because I only had a little to use I decided not to make a stew. I should also mention that amongst the beef recipes there were many recipes for offal – things like ox cheeks but also, to my surprise, recipes for cooking udders! I have never heard of eating udders before, I must say, but I’m not quite brave enough to try that! Besides, I do like to focus on ingredients that are easy to source so others can try them out should they want to. Anyway, I opted eventually for a recipe entitled “A hash of raw beef”. The beef is not raw in the finished product, I hasten to add, this is not a steak tartare kind of recipe (which I have still never tried, though I think I’d probably like it as I am very keen on rare or even blue steak). I think the reason that the recipe specifies that it is raw is that hashs are usually made with meat that has already been cooked. A hash, which I will do a proper background post on at some time, is basically a mixture of finely chopped ingredients cooked together. Think hash browns, or corned beef hash. We often have the latter for tea in my house, it’s one of my favourite comfort foods. To make a hash of raw Beef. MInce it very small with some beef-suet, or lard, and some sweet herbs, some beaten cloves and mace, pepper, nutmeg, and a whole onion or two, stew all to|gether in a pipkin, with some blanched chesnuts, strong broth, and some claret; let it stew softly the space of three hours, that it may be very tender, then blow off the fat, dish it, and serve it on sippets, garnish it with barberries, grapes, or gooseberries. I got back from the supermarket, having happily found all the ingredients I needed there. Or so I thought. I soon realised I’d forgotten the chestnuts, so I hurried up to the greengrocers in the hope that they would have some. They did, hooray! Usually I would have bought ready cooked ones, but they were fresh, and after a little digging around on the internet I discovered I could boil them. I cut a slit in the shell and then boiled them for 10 minutes or so, until they became soft. My beef was already cut up, but I cut it smaller. My knives are not as sharp as I’d like so I cheated and used kitchen scissors. I was only planning on making a single serving so I didn’t use much. I then added all the other ingredients. I used a thick slice of onion, chopped, a pinch of all the spices, a tablespoon full of suet, and a glug or two each of stock and red wine. I chopped up the chestnuts (though I bought 4 I probably only used about 1 and a half). For the herbs I used taraggon, because it’s one of my favourites. Then I put the whole lot in a small saucepan and cooked it over a very low heat. The recipe stated 3 hours, but after 2 mine was becoming rather dry, and as I had only a small amount of the beef I thought that a shorter cooking time would suffice. Once it was ready, I made some sippets (see this recipe for instructions on what they are and how to make them (it’s very easy!)) and put the hash on top of it. I shall be back very soon with a seasonal special, so watch this space! It would be a bit of a stretch to call this post “cooking and the recipe” as I usually subtitle the second parts of my food adventures. This is a ridiculously easy recipe, and unlike either of the other drink based recipes I’ve made previously, there is no cooking involved – it doesn’t even involve heating anything. To make Ipocras. Cap. xl. TAke of chosen Cinimon, two ounces, of fyne Gynger one ounce, of Graynes halfe an ounce, bruse them all, & sleepe them in. iii. or. iiii. pyntes of good odiferous wine, with a pound of Sugre by the space of. xxiiii. howres. then put them into an Ipocras Bag of Wollen, and so receaue the liquor. The rediest and best waye is to put the Spices with the halfe pownde of sugre, and the Wine into a stone Bottle, or a stone pot stopped close. and after: xxiiii. howres it wyll bee ready, then cast a thin linnen cloth, or a peece of a boulter cloth on the mouth, & let so much run thorow: as ye wyll occupy at once, and kepe the vessell close, for it will so well keep both the sprite, odour and vertue of the Wine, and also Spices. Today’s recipe comes from John Partridge’s The treasurie of commodious conceits, & hidden secrets (1573). I shall, as with the beer post, not be giving step by step pictures because it’s so easy. I am no wine expert, and I don’t really drink red anyway (hippocras was usually, though not always, made with red wine), so I can’t really suggest which would be best. In the interests of authenticity, a French wine would probably be best, since the majority of wine imported in the 16th century would have come from France. Even as someone who prefers white, I have to say that red is much more “odiferous” (i.e. pleasant smelling). On a practical note, if you are planning to make the hippocras in the bottle a screw-cap is better as it won’t leak when you shake it. I scaled the recipe down somewhat, in fact I quartered it. I discovered that a pint of wine is pretty much a bottle minus a large glass when I measured out what was left in the bottle my husband started drinking last night. So that was rather fortuitous. The spices are mostly self explanatory, except for one. The “graynes” mentioned are in fact “grains of paradise”, what we know today as cardamom. I absolutely love the taste of cardamom, it makes me think of drinking chai tea at 2am in the Green Fields. But I digress. As for sugar, there seemed to be conflicting instructions about how much to use, first Partridge stipulates a pound of sugar, and then later refers to half a pound. I went for a whole pounds (well, the scaled down equivalent) which turned out to be far too much, in my opinion. Not having a stone bottle, I opted to just reuse the glass bottle the wine came in. I imagine you could use one of these instead though, which would look rather nice: http://www.ikea.com/gb/en/catalog/products/30213552/. After having left it for a day, I tried the hippocras, as did my husband and our friend Ed, who happens to be visiting this weekend. I put a jelly bag over the top of the bottle and tried to pour, but it was reluctant to come out as the spices were blocking the neck, but with a little shaking it came out soon enough. The general consensus was that is was nice, but far too sweet. Ed even compared it to Ribena! The spiciness was pronounced, but not as strong as in mulled wine. If I made it again I think I’d probably scale down the sugar by at least half. Still, it was rather tasty, and would make a good aperitif or, even better, digestif. You could use it anywhere you’d serve port or sherry. It would also be nice in cooking, I think, especially around Christmas time – perhaps used in stewed red cabbage or poached pears. Measure out a pint of the red wine in a measuring jug. You do not need what remains in the bottle, so find some other use for it. Bruise the ginger, break it up as necessary and add it to the bottle. Add the cardamoms and the cinnamon sticks too. Add the sugar to the wine and stir to combine as much as possible. Put the sugary wine back into the bottle, this will be a lot easier if you have a funnel. Put the screw cap on, or use a stopper if it had a cork. Upend it a few times (easier if it’s a screw-cap) to mix the sugar in as much as possible. Leave the wine for 24 hours, turn it upside down a few times if you remember to help the sugar mix in. After it’s been sitting for a day or so, open and strain through some muslin, cheesecloth or similar. Enjoy! TAke Fennell, and seeth it in water, a very good quantitie, and wring out the iuyce therof when it is sod, and drinke it first and laste, and it shall swage either him or her. It seems fad diets and those “weird old diet tips” so beloved of annoying internet ads have a long and proud tradition stretching back hundred of years! TAke fine flowre and good damaske water you must haue no other liquor but that, then take sweete butter, two or thrée yolkes of egges, and a good quantitie of suger, and afewe cloues, and mace, as your Cookes mouth shall serue him, and a litle saffron, and a litle Gods good about a sponful if you put in too much they shall arise, cut them in squares like vnto trenchers, and pricke them well, and let your ouen be well swept and lay them vpon papers and so set them into the ouen, do not burn them if they be three or foure dayes olde they be the better. As is often the case, there are few indications of quantities in this recipe, so there is a lot of guesswork involves. As I said in the last post, early modern cakes were more of a “fancy bread” than the sponge cakes we eat today. There is also a clue in the fact that the bread is cut into squares before being baked – clearly this is a kind of dough and not the thick batter that a modern recipe would produce. With this in mind, although this recipe contains all the ingredients of a modern cake (flour, eggs, butter and sugar), I didn’t want to be basing my quantity estimates on a traditional cake mix, but rather I approached this as a bread enriched with sugar, butter and eggs, like brioche or challah. It didn’t turn out much like either though. Although this cake can’t really be described as a bread, there is some yeast in this recipe – that’s what the “God’s good” is. The etymology is quite interesting. According to the OED, “God’s good” was also used to refer to “property or possessions belonging to God (applied esp. to Church property); also, worldly possessions, food, etc., viewed as the good gift of God”. I would assume that perhaps yeast came to be associated particularly with this as it is a naturally occurring substance, it comes not from man’s intervention but from the “good gift of God”. Whatever the reason, there is yeast in this recipe, but curiously the recipe does not seem to want the cakes to “arise”. I started by activating some yeast in a small cup. I took 200g flour to which I added 3 tablespoons of water and a few drops of rose water. As I have discussed before, the rose water you can buy today is very strong, and you shouldn’t really use large quantities of it, so it needs to be diluted into normal water. 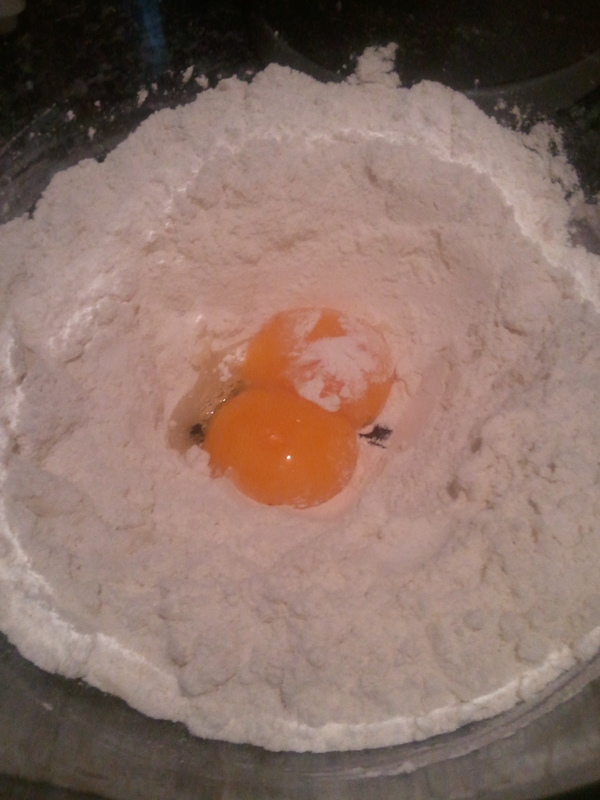 I added 2 egg yolks and 50g each caster sugar and softened butter to the mixture and beat it until it was combined. 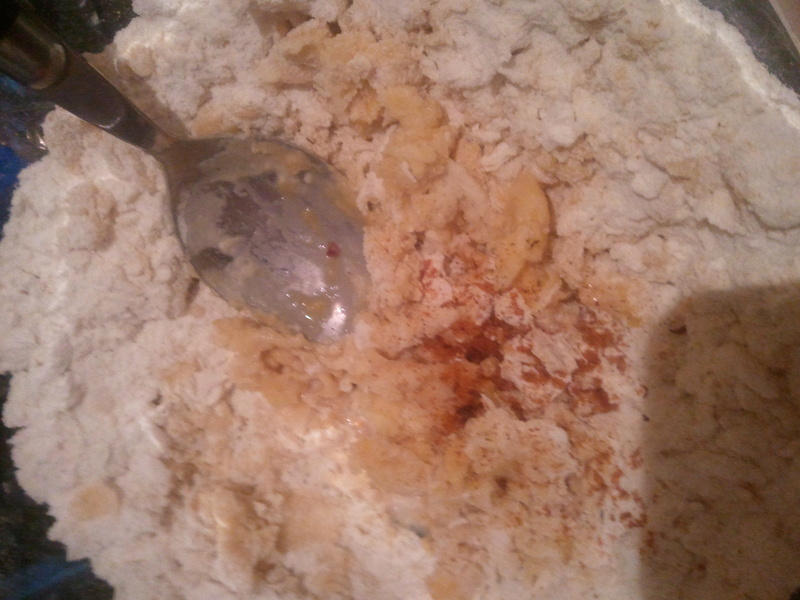 I then added a pinch of ground cloves and mace, and then a tablespoon of the foam from the top of the yeast. Sadly I couldn’t get hold of saffron, if you are using it I’d advise steeping it in the tablespoonful of water and then adding it with the rosewater at the beginning. This makes a stiff dough so you’ll have to get in there and kneed it with your hands. If it won’t quite combine, add a little more water. At this point, I rolled out the cake and cut it into squares. I then baked it in a medium-hot oven (about 200c) for about 20 minutes. After letting the cakes cool for a while, I tried one (as did my resident early modern food guinea pig aka husband). They were rather tasty, though not all that much like cakes or even bread for that matter. 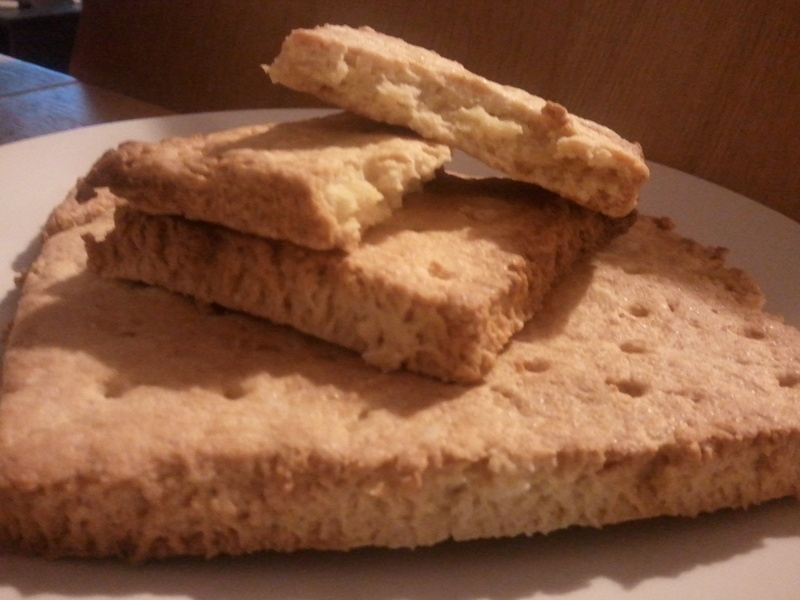 They are probably best described as a cross between a scone and a biscuit. They were quite sweet, the texture soft crumbly, flaky and a little bit risen. Very tasty, if a little dry. You could, however, ice them which would probably help with this, or spread some jam or other preserve on them to eat. If you are using saffron steep it in the water for half an hour (warm the water first), then add the rosewater. Make up the yeast according to packet instructions. This will usually involve dissolving it with sugar in warm water and waiting for some foam to form on top. While the yeast is activating, put the flour in a large bowl with the sugar. Make a well in the centre and add the butter, water with rosewater and egg yolks. Stir to combine. Add the spices with a tablespoonful of the yeasty water, then kneed until the bread comes together. You might have to add more water. Turn out onto a floured surface and roll out. I rolled mine out to around the thickness of 2 pound coins. Once it it rolled, cut into squares, put onto a greased baking sheet, prick all over with a skewer, and bake in the oven on a medium-hot heat, about 200g. Check after 20 minutes, remove if they seem cooked, leave them in a bit more if not. Enjoy your early modern cakes! They are best when they are warm. If anyone tries this recipe please let me know how you got on in the comments. I didn’t really want to make 3 pints worth, especially since my husband voiced his dislike for warm, creamy alcohol back when I made the posset, so he wouldn’t be volunteering to help me drink it. I scaled the recipe down to a fifth. This quantity filled a particularly large mug. I’m not sure exactly how much a pennyworth of each of these spices would be, so I went with a small pinch. You can probably just do it according to taste, a small pinch made for a fairly lightly spiced drink, which I thought was nice, but if you like it spicier then by all means add more. Whisk the egg yolk and then slowly whisk in the beer until it is all incorporated. Put in a saucepan with the sugar and spices, then warm over a medium heat until just simmering. Remove from the heat and whisk in the butter, then pour into a mug and serve. As I expected, this is definitely a drink for a cold and rainy night. I will be reviving this in the winter I think. 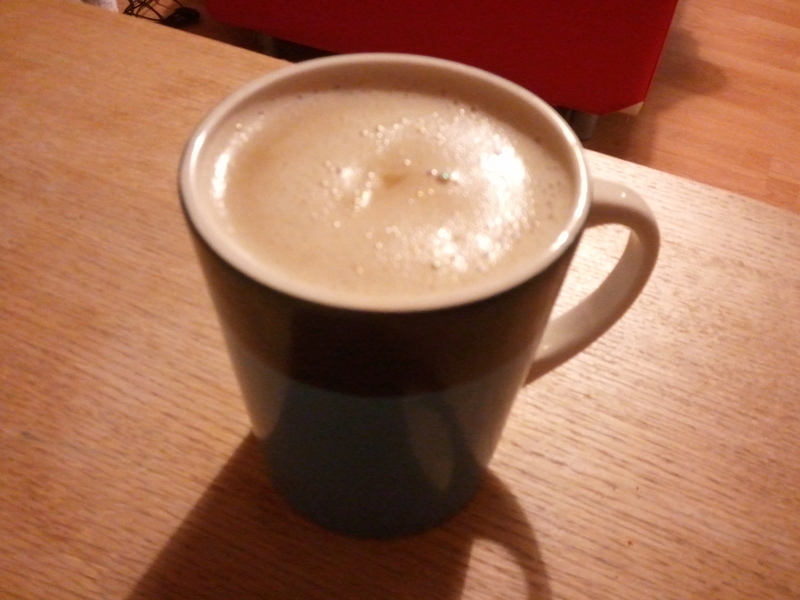 It’s a lot less heavy than something like posset or egg nog, but it has a similar kind of taste. I really enjoyed it, so I deem this cooking experiment a success! I also can’t go without mentioning that it appealed to the Harry Potter fan in me. What will be the next food? I am not sure. Any suggestions? UPDATE 10/11/12: I’ve been playing around with this recipe again since the its now definitely the season for it, and I can confirm that this actually tastes much better when made with beers other than Old Speckled Hen – its too bitter and tastes odd with the sugar. Try something darkish but mild, London Pride works well.